Are you thinking about where to host your next summer event? Look no further! 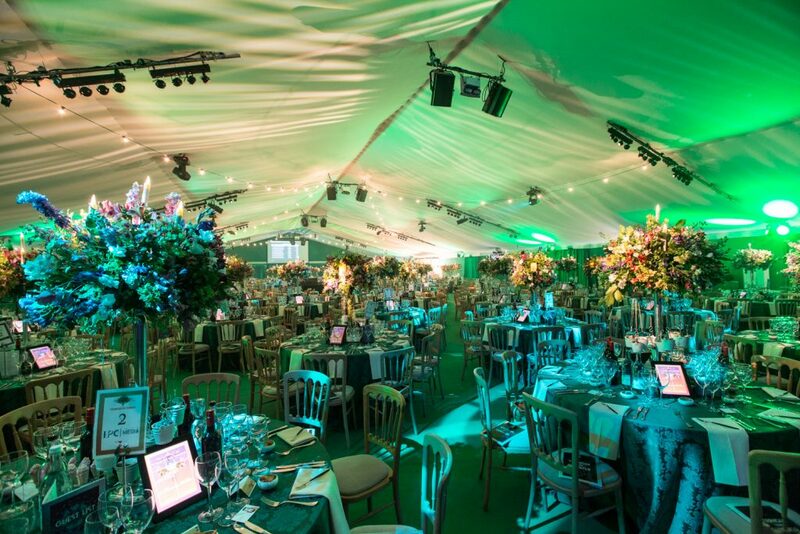 The Artillery Garden, HAC is the perfect venue to host your upcoming summer event in London. The open venue space is complete with full production and AV that is suitable for award ceremonies, charity events and conferences, with ambient lighting to set the mood, and a DJ and disco to really get the party going, along with a stunning atmosphere that can be transformed to complement many different themes. The Artillery Garden is set within the Honourable Artillery Company grounds and against the historic Armoury House and buildings that create a unique backdrop. The venue is right in the heart of the city, making this venue easily accessible for your guests. Many different types of events have been hosted at the Artillery Garden, such as seated lunches and dinners, standing receptions and BBQs, meetings and conferences, team building events and informal parties of any kind. No matter what kind of event you’re looking to host, the Artillery Garden is a versatile space that can accommodate anywhere from 400 up to 2,400 guests. No party is too big or too small and the Ultimate Experience team is always interested in hearing about what new ideas they can try for your event! 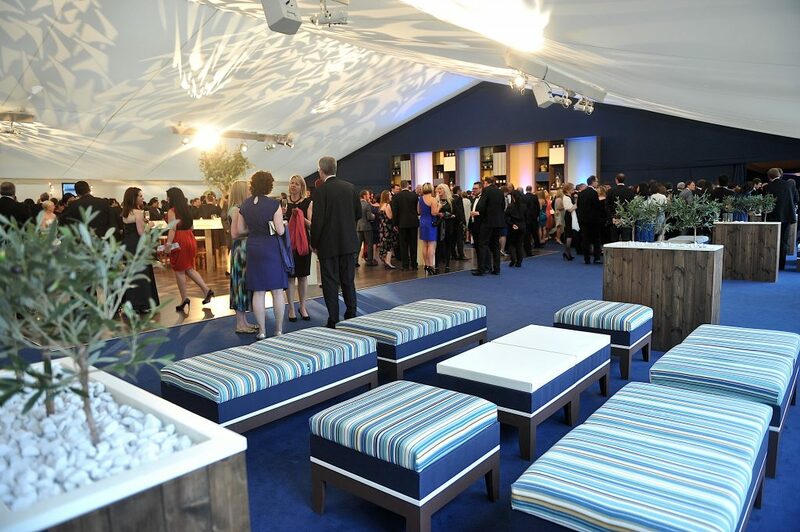 Whether you would like to host your summer event during the day time or at night (or even both! ), your event can be planned according to your wants and needs. As your guests approach the entrance of The Artillery Garden and walk out onto the bright green lawns of the venue’s lush private gardens, your guests can enjoy tasty drinks and canapés while soaking up the ambience and cool breeze. Later, your guests can wander into a larger indoor space equipped with a premium sound system, lighting and large screens to add visual and audiovisual effects to the atmosphere. This space can also be used as an exhibition space for product launches or if you need to use audiovisual equipment for presentations or slideshows with your logo, product images or announcements. 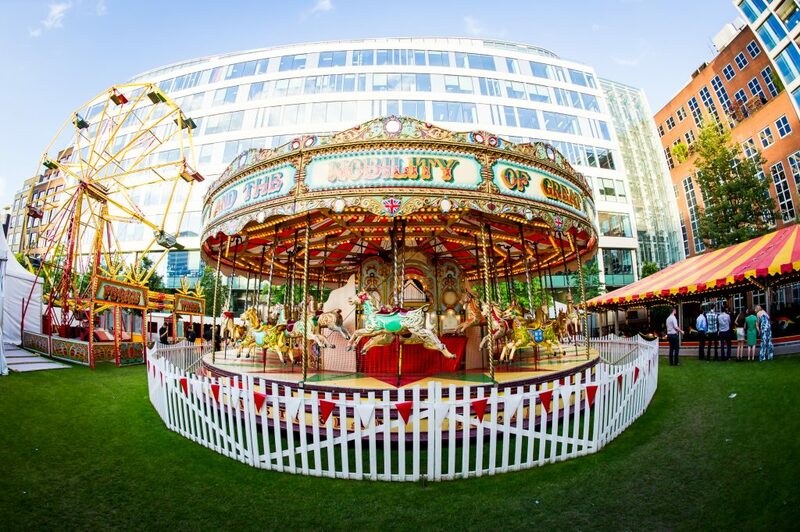 One extraordinary thing that sets the Artillery Garden apart from other summer event venues is that a fun fair can be hired to take your party to a whole new level. This exciting entertainment option is unique only to the Artillery Gardens and includes rides such as a big wheel, carousel, dodgems and even side stalls complete with prize giveaways – just like a real fun fair! The fun fair can be part of your afternoon activities or as follow-up entertainment for after a dinner or reception to keep the festivities going into the night. The party professionals at Ultimate Experience can work with you to organise your event and make your summer event something to remember. We can arrange additional entertainment options such as live music, magicians, acrobats and catering for your event using only the most sought-after names in the industry to ensure your party is a spectacular experience for your guests.